Apple announced some great new features in iOS8 last week. iCloud Drive will be an excellent addition to file structure implentation for iPads. Users will be able to take advantage of these features in the fall. Until then, this new tip will come in very handy if you are still using Microsoft office on other computers. Currently, iCloud storage of files has somewhat been “hit and miss” for consumers in terms of reliability and ease of use. 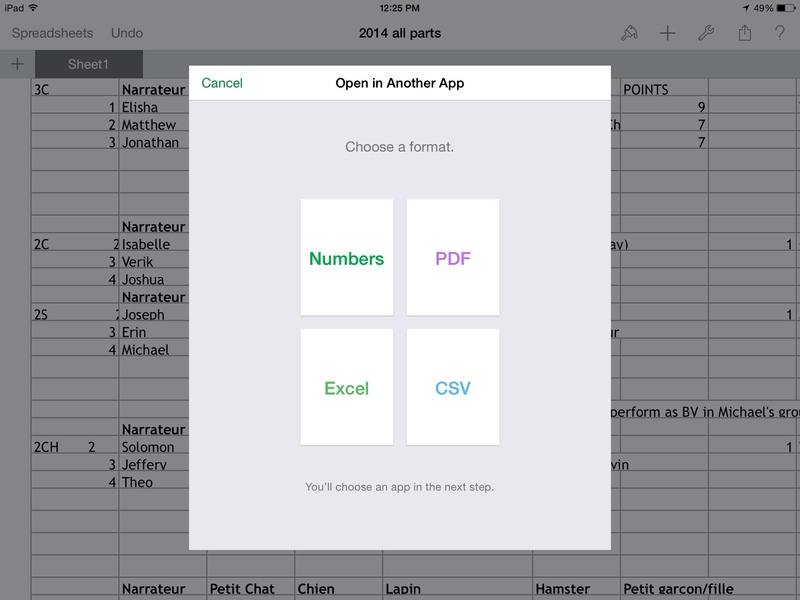 Now you can open any iWork file in other third-party apps, allowing users to continue working on those files on other devices and computers. 1. 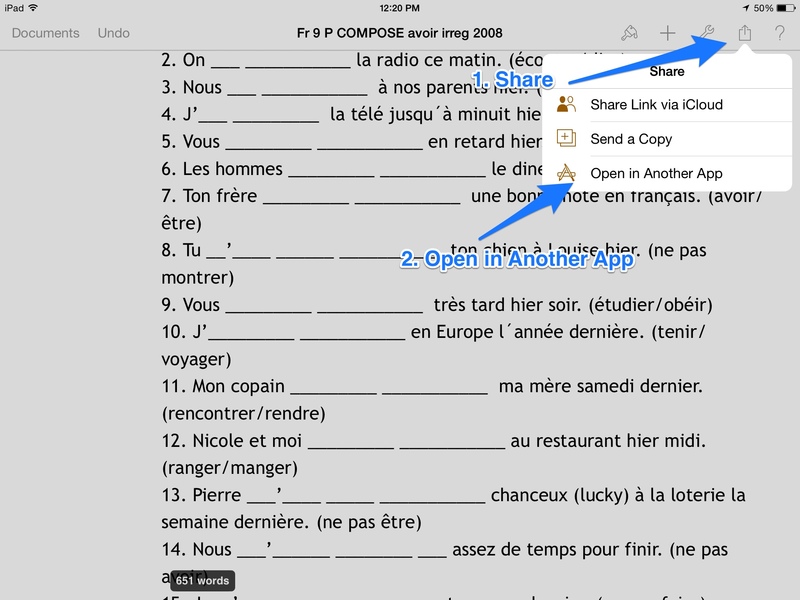 Once you have an iWork document open on your iPad, tap the Share button. That’s it! Now you can work on those files on your other computers/devices. Within seconds, your files will upload into the cloud. You will be able to open and edit them on any computer. If you make changes on the other devices or computers, save the file again (in Dropbox, etc.) 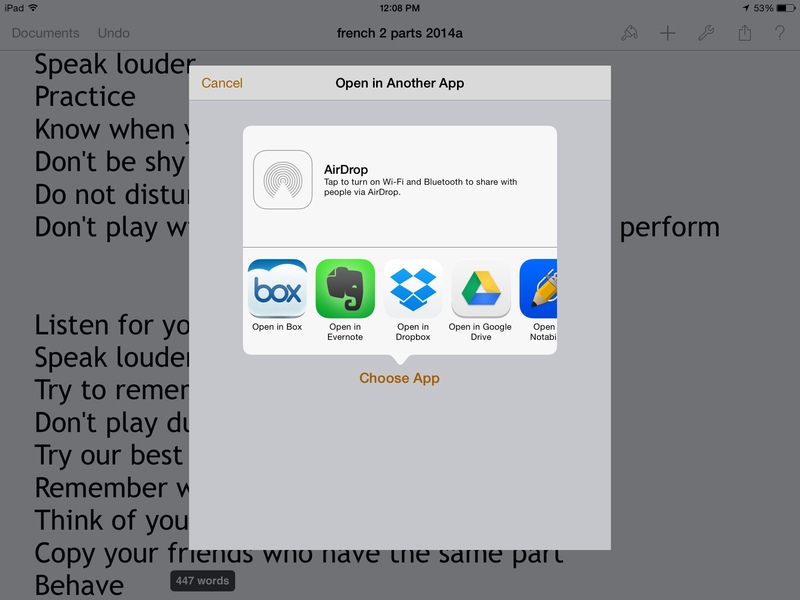 and it will automatically be available back on your iPad within those cloud service providers, using the “Open in…” feature. 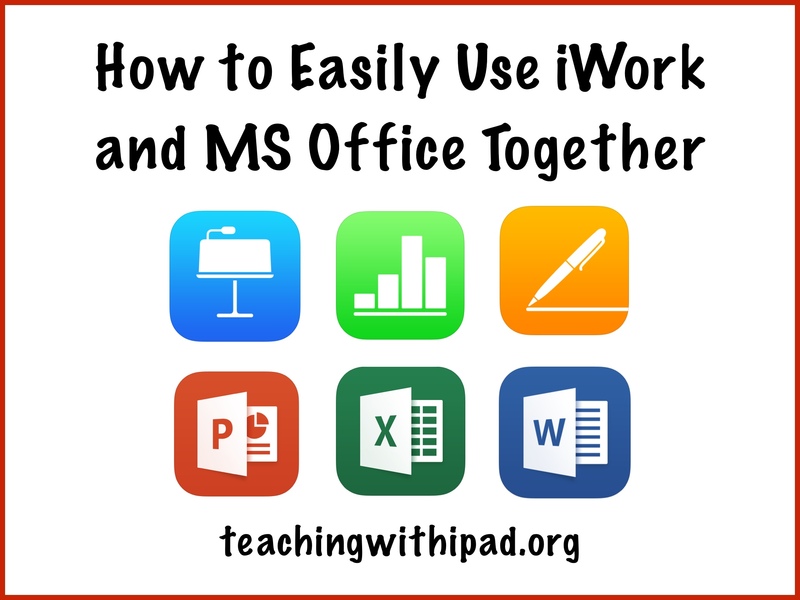 Even if you don’t need to transfer between iWork and MS Office, this presents an easy way to securely store your iWork files (as opposed to constantly changing the format) in the cloud service of your choice. If you favour using Google Drive for storage, save it there instead of iCloud. Likewise for Dropbox or Box. Stick with one storage solution and manage all your files easily and quickly this way. Obviously, this will not be necessary if you just use iWork (plus iCloud) on your Apple devices. But if you like to keep using Microsoft Office, this is a much better way than having to email yourself the files all the time back-and-forth. *Note: Remember, if your PowerPoints and Excel files have advanced formatting and transitions, they will not directly transfer over to the iWork editions. You may need to stick with one suite instead of going back and forth. Special thanks to my colleague Matt for introducing me to this tip! Did you like this post? Please share! Questions? Please ask.